A guide to help you buy Nike Mercurial Price and New Cr7 Mercurials,know more here. 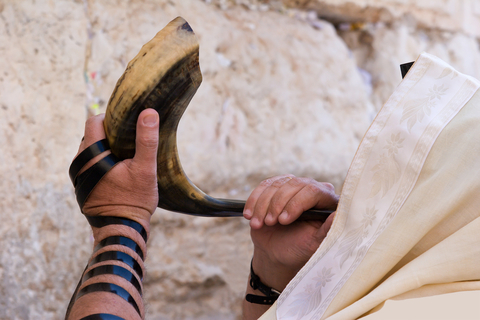 The shofar blast rang through the room, and a tingle ran up my spine at the sound. Such a majestic sound. We certainly don’t hear that in church! The Bible says the Messiah will return with the sound of the shofar. I can well imagine. The Bible doesn’t say why the shofar is blown, simply that it should be. Jewish tradition lays some guidelines. There’s a prescribed time in the liturgy and manner of these sounds. According to Aish.com, the Tekiah sound is one sustained tone. It is a call to acknowledge God as King over all. In Jewish tradition, the King is a servant of the people. Since his only concern is for the good of his people, his laws are only for their benefit, not for his. The Tekiah sound is the sound of a king’s coronation. The Shevarim sound is three short blasts. According to Kabbalah tradition, it’s the sound of a sobbing heart, longing for connection and growth. (I don’t hold with Kabbalah. There’s some strange stuff in there. But in this instance, this interpretation of the Shevarim gives deeper meaning to Rosh HaShanah.) As we reflect on the past year, we know that we’ve failed in so many ways. Failed to keep the commands of God. Failed to live up to our potential. Failed to use His gifts to us. The Shevarim is a call to repent and start anew. Rosh HaShanah is a time to wake up and be honest about our lives—who we are, where we’ve been, and where we’re going. The Teruah sound is nine short blasts. It’s been compared to an alarm clock, waking us from our slumber. The final sound is the Tekiah Gedolah, literally “the big tekiah.” It’s one very long blast of the shofar. Truth be told, I didn’t know the symbolism of the shofar sounds when I went to the Rosh HaShanah services. I wish I had. Learning of them has deepened and given structure to my time of repentance. Jewish tradition says that the Messiah will come (again) during Rosh HaShanah. Maybe it’ll be during the sounding of the Tekiah Gedolah. Thoughts? Let’s reason together–in the comments. This entry was posted in Abdicating the Throne and tagged Day of Trumpets, repentance, Rosh HaShanah, shofar.